I also think putting crowdfunding on Ideas without having a clear idea whether it’d be a continuing thing could carry a lot of risks of potential confusion. It’s true that Ideas has expanded from just crowdsourcing for future products to other forms of community-driven engagement like contests, but a common trait of those services is “no purchase necessary”. Adding crowdfunding would first mean restructuring the LEGO Ideas team to take on responsibilities currently managed by the sales team, which has lots of potential for error. What’s more, people who join Ideas thinking it’s a crowdfunding site might become confused about why the standard projects don’t involve any backer rewards, and people who first learn about LEGO Ideas via reports about this one crowdfunding initiative in the press might be less likely to join to support other projects based on the assumption that all participation in the site requires payment/pre-orders. Anyway, it’s not like LEGO has never started new initiatives via another company’s site before. Ideas, after all, started out as a partnership with the Japanese Cuusoo System crowdsourcing platform, and as a subdomain of Cuusoo’s website (not LEGO’s). Even after it went global it remained structured this way until LEGO felt prepared to insource those responsibilities, which is when the name changed to Ideas and became a subdomain of the LEGO website. Perhaps Cuusoo felt more like a discrete LEGO-branded service than this, but only because creating a set via LEGO Cuusoo required a platform for fans to create their own campaigns, not just a single LEGO-created campaign like this. LEGO also used to host video contests on Tongal before moving those types of contests first to Rebrick and later to Ideas. If this crowdsourcing initiative and subsequent ones prove popular, LEGO may incorporate crowdfunding services into their own site and corporate structure the same as they did with these types of initiatives. 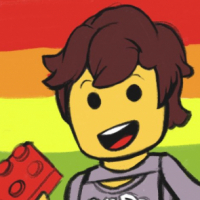 But starting by turning to a service that is based around managing these types of service is a good way to test a new strategic initiative before deciding if it’s got enough staying power to be worth giving it a more dedicated place in the LEGO Group’s overall online strategy. I think the model idea is interesting, I'm always looking for little display ideas like this. Not sure if I would like Lego to continue using crowd sourcing as opposed to just selling from their own website but nevertheless my order is in! I ran it past my wife last night, who usually merely tolerates my Lego addiction ("Why is there another building on the shelf? Where did that come from? When did you build it?! We have no room! "), and her reaction to the kit was "it actually looks quite nice". Right, of course a billion dollar company would just refund, but it's fair to say some people who have never done crowd funding before might be jumping in for the first time since it's LEGO, and they might even see some other projects while they are there....was just trying to help. Is there a new cross-over between the old PR and the Monster Fighters!!?!? Huh. I wonder if there is a secret network of wives/spouses that compare notes. Nice little build for the uninitiated but it's not for me. From my point of view as a builder who can't keep it in the box, it doesn't bring anything to the table that can't be built from the collection of parts I already own and the skins hold no interest to me as they are single use items that can't be used for much else. (I daresay someone cleverer than me will find an interesting way to incorporate the sheets into a MOC somehow if/when they come down in price). 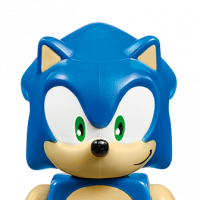 From a set collectors point of view, I can see the appeal as sealed versions are likely to be rare if the majority of the initial run go to the intended target audience. I understand who they are aiming for though and hopefully they succeed in their aim as it's an interesting platform for getting something that isn't the norm from Lego. Anyone enjoying watching the race between the UK and US to sold out, both at half way. The fine print says you are only allowed one of the actual kit, but there's really no way to enforce it. People buying multiples can just use different addresses and thus claim they are 'different' people. As I said above, the cynic in me believes a good chunk of these are going to end up on eBay anyway, but that's just how it goes. Displaying LEGO is one thing, but this type of set is so super specialized. I'm sure there will be creative people who find some way to customize builds with their panel pieces, but it's not the type of theme for me. We (well, Europe) beat them in the golf, and we'll beat them in the LEGO fish buying competiton too. Maybe Tigerfish was one of the proposed skins and got nil points. There is a simple way to enforce it, more than one donation for a kit per account, send only one kit. Of course, people can set up multiple accounts to get around that. Didn't really jump out at me. I looked at it, thought, "Ok, its a fish ..." and moved on. Seemed like an odd thing to label as an "Adult" set. Like we need to be told Adults can get Lego sets. Just odd. I feel like maybe that Adult label is so people know it's not really for kids. The neat colored fish may appeal to someone that thinks it's a good set to get a kid, or maybe as a starter type set for them. But the Adult label would deter them. That's all I can think of. Can't say I'm overly interested in this honestly - it's not bad or anything, I just have zero interest in fish so I can very easily pass on it. The boxart looks really nice though, and I like the idea of different skins (although personally the shark one looks a tad naff) to customise the thing. As as for the use of crowdfunding for this, I can't say I'm a big fan of big companies in general elbowing their way into this area - I'd prefer if crowdfunding could stay as a way for little guys with big ideas to realize their true potential instead of massive corporations that already have stacks of cash asking for even more. It's definitely not as bad here since you're literally just paying for the product like a pre-order, but it'd be nice for TLG to not be a part of this trend innit. Ah well, I'll live I guess. It's a bit weird how the base is made of bare technic parts when the fish part is entirely covered with plastic sheets. it would look better with a base kind of like the one from ship in a bottle. It looks like they removed the fine print about one kit (81000) per person anyway. ^Due to the lack of demand after the first 24 hours? Counting base sets and Super boxes it looks like they got 3,711 claimed so far. I'd say that's a pretty small amount given the scope of LEGO but they may have planned for this to be niche by setting the goal at only 500 for a month. But you are right, they probably put the limit on to ensure fairness should it show great interest at launch, but now that they see if slow they lifted it. Maybe Lego saw that people were buying more than one and with the choice of not sending them and getting complaints or refunding them which might be hard to do given the platform just thought it was easier to just let people have more than one. Given the limited numbers I am a bit surprised that they haven't sold out yet of super packs, but thinking they are not selling well should make us all buy more because there would be more chance they stay limited. But if we all rush to buy a second and they sell well that might lead to a wider release so maybe there is no point. But if we all think that and no ones buys a second they might stay limited, help I'm trapped in a loop! This is the same sort of reaction a lot of people had to LEGO Friends being marketed towards girls. "Are they saying girls can't like other themes?" But that's a rather simplistic way of looking at things. Nobody's saying that girls and adults can't like the themes that have been around for a decade or more — just that the number of girls and adults alike who DON'T like those themes vastly exceeds the number who DO. And that's a much larger untapped market than can be dismissed with assumptions that "well, they must just not care for LEGO building on principle". By recontextualizing LEGO building, it is extremely plausible that a considerable portion of those untapped markets can be reached more effectively. It's just about finding what it is about current themes that might make those people feel alienated, and what new ideas or contexts will best correct those blind spots. In other words, some might say, "Ok, it's a fish..." whereas others might say, "Far out! It's a fish! That's amazing!" This! My youngest daughter will not touch my train or city stuff but she's got a big collection of Friends sets and plays with them regularly. Both UK and US full kits are at about 66% taken, but the kits with one skin are doing really poorly at under 10% taken for each country. I'm surprised it hasn't sold out, maybe it is a bit of a flop. The single skin packs are kinda stupid. No really point in either doing the bare bones or the max pack. l guess if you really really liked only one of the fish. The best option would have been to make all the skins the full kit and you get a choice of one skin or you can upgrade to get all the skins. If I was to get one I'd only want the shark. I don't personally like them, but could see how someone who fishes(or likes fish), and a fan of LEGO could want them. 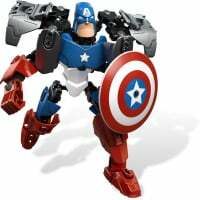 I would much rather have LEGO do something like this for World War 2 kits, or something more adult friendly. These are really not moving now. I wanted to be interested in this... but honestly, the product itself just doesn't appeal to me at all. I love the *idea* of it, but not this initial offering. Not really sure what's more "adult friendly" about World War 2 than fish/animals? Like, WW2 certainly would be more macho/edgy than streamlined natural creatures, but that's not the same as being "for adults". If anything, the goal of this product line (judging from the way it's being marketed on Kickstarter) is to try and target adults who want something LESS macho than LEGO Technic, and less scholarly than LEGO Architecture. In the 10 days this campaign's been online, about 69% of the Super Boxes have been claimed, along with about 10% of the base Koi kits. Over 4000 people have supported the basic concept behind LEGO Forma to date. A lot of Ideas projects take considerably longer than 10 days to get from proposal to 1000 supporters, even without any kind of price tag attached to supporting the project. And the campaign is still scheduled to run about 30 days longer. So overall I think it's generated a fair amount of interest. While it's doubtful that LEGO will be fulfilling as many pre-orders as the maximum limit they set on the campaign, I doubt that results like these are bad enough that LEGO wouldn't move forward with the project in any form. Whoops, did realize an error in my math what with the possibility that some of the backers may have claimed upwards of one super box/koi kit… even so, I think the degree of interest generated here is something a lot of creators of non-IP-based Ideas projects would envy. The total number of available Koi and Super Box kits adds up to 20,000, so for nearly 1/4 of those to have been claimed in less than two weeks doesn't seem bad at all. The individual skins seem a lot less popular and I'm sure that will inform LEGO's market strategy with the final product, perhaps veering away from selling the skins individually. Interestingly enough, if you're speculating on the product, the skins are probably the way to go. They are the only thing unique at all. Plus they have the pins to attach to the model. I mean, the base set comes with the pins and you can print your own skins/designs if you wanted to, albeit not on plastic but still. Are they... friction pins? Must be a modular! I think the reason real-world war-related Lego would appear more to adults is because it feels exclusively adult, whereas a big fish isn't exactly inappropriate for children. It's a case of "this says it's for adults on the box" versus "this has 'Adults Only' written all over it". There is one new part that is not currently available elsewhere. I'm referring to when it's gone completely. There will be people that just bricklink the basic parts for the mechanism. The skins will only be available on the secondary market at a (likely) much higher markup. Who knows how many LEGO will produce at all though? Other than the pins to hold the skin on which part is that? I thought I read it was one of the flexible joins, but it might well be those pins. may be round 1x1 tiles? They sure have, the shark is from #7773 which I have sitting in its box so I might have to give this a try. I mean, is there any set that can't or hasn't been improved by the MOC community? When you have no constraints/limitations you can do some pretty awesome things. In this case, I think JK have done better as they have the constraint of using just existing LEGO parts, whereas LEGO haven't. Plus they have gone brick built for the "skin" and come up with a nicer design. 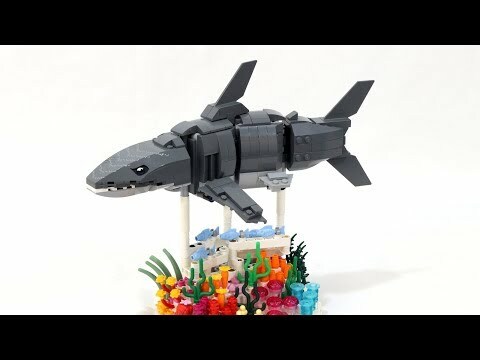 But in using a brick built shark, they have probably used a lot more Lego pieces and higher volume of Lego. 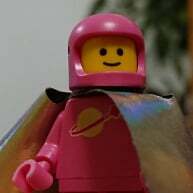 So the cost would be considerably more and could very well exceed a number of constraints placed on the Lego Forma designers. LEGO's plan wasn't to sell you a shark, they are building a theme based on customization it seems. I just don't see what someone improving a set proves. Yes, it's better. Given Jason is the king of kinetic it's nice to see his take on it. Of course it's better but he is in no way critical of Forma. Not his style. If Forma was designed like that, wouldn't it kind of defeat the purpose of Forma, which is specifically to not be designed like that? Is that the point of FORMA? Is it to be inspired by nature? Is it to build a dynamic model? Is it to be like a colouring book? LEGO® FORMA is a premium LEGO experience designed for adults looking for a fun, engaging way to reconnect with their creative side. LEGO FORMA mechanical models are cleverly designed but simple to assemble. Sturdy rods and parts combine with customizable skins to create a joyful creative challenge. Taking design cues from nature, LEGO FORMA incorporates life-like movement, colors, and patterns. The result is an elegant conversation piece that's a tasteful addition to any room. The beauty of nature. The simple pleasure of building. A thoughtful creative challenge. These are at the core of LEGO® FORMA, a premium LEGO experience for adults looking for a simple, fun way to disconnect from their screens and reconnect with their creative side. LEGO® FORMA models feature beautiful, customizable skins that allow for personal expression. Choose from the Koi Skin, Shark Skin, Splash Koi Skin, or decorate your own with the Ink Koi Skin. Two hundred and ninety four elements come together to form a dynamic model. A clever gear system generates life-like movement that’s as satisfying to put together as it is to see. The sum is a thoughtful creative challenge that’s relaxing yet creatively stimulating. 294 elements, a joy to assemble. Swap the standard Koi Skin with the available Shark Skin, Splash Koi Skin or Ink Koi Skin. Each skin comes with minimum 28 pin elements. Clever gear system generates a life-like movement inspired by nature. Make LEGO® FORMA a tasteful addition to any room. LEGO® FORMA is designed to help you reconnect with your imagination and disconnect from the stress of life. Discover the simple satisfaction of building with your hands. Well-designed, sturdy pieces are combined to form a dynamic frame. It’s a thoughtful, creative challenge that’s still simple enough to be completed in a couple hours. What is the USP of this set that has never been done before? Customizable skins have been done before, albeit brick built - for example in the Piggy Bank set. Use of skins where they could get bricks to work has also been done before - for example in the Grand Carousel. So presumably the creative part is the equivalent of the Adult Colouring Book? It will be interesting to see what features future Forma models have, to see if the key thing is the colouring -in aspect. If this is the key feature, I wonder why they colour printed three out of four of them rather than supply them ready to colour, and the basic model does not come with a colouring in sheet. I'll highlight that statement. Only one of those skins are really customizable. Three of them are pre-determined. They could have done this years ago, supplying two sets of sails with ships - one imperial and one pirate. Or even a blank set for the consumer to colour in themselves. Have people that have cut their own custom sails been doing FORMA sets for years?